As January comes to an end, Hungry Minds students shared their thoughts about new beginnings and what they want to achieve this 2015. 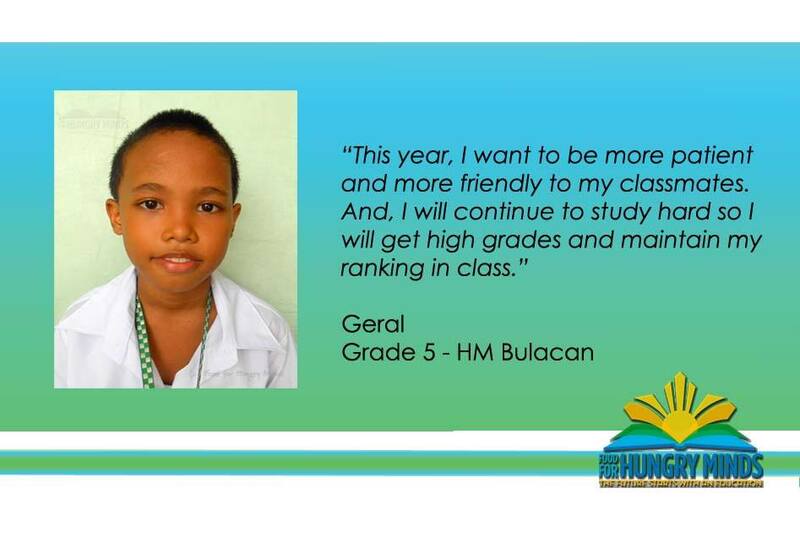 For Geral, a Grade 5 student of HM Bulacan, he would like to improve his relationship with other people particularly with his classmates. Most importantly, Geral would like to do better in school. Currently, he is one of the top students and ranks 3rd in his class. Let’s wish Geral and all Hungry Minds students good luck as the last quarter of the school year has already started!